Not long after Christmas, after keeping all the presents and sorting out the playroom, I thought it was about time I changed the living room around to make room for Freddie's things and for there just to be more space. I hate things in front of the window and the sofa was right in front of it. I have since put the sofa the opposite side of the room and the living room looks a lot better. When we first moved into our home we only had a few cushions on each sofa and it looked bare. It didn't look comfortable or cosy. When we were asked if we'd like to review some cushions from SofaSofa, I said yes straight away because we needed some and because I loved the look of the cushions I chose. Later on this year I am hoping to re-decorate the living to a grey, white and ochre theme and these cushions looked perfect for the theme. The cushions arrived pretty quickly after they were ordered which was great. 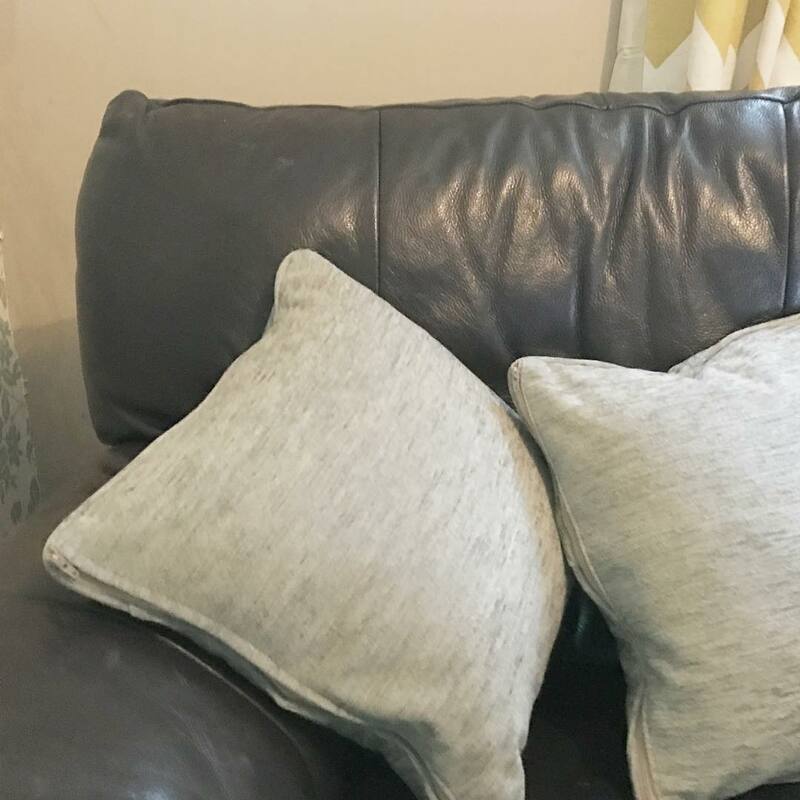 The quality of the cushions are great and I would recommend these products if you are looking for any new cushions for your sofa to feel cosy and warm. We were given these products free of charge in return of an honest review post. As always, words and photos are my own.